The internal combustion produces fire through the spark plugs. This consequently ignites the air/fuel mixture hence moving the crankshaft. To maximize engine power car designers create a sequence through which each cylinder is powered up. The firing up of each engine cylinder is unique for car models. The firing order is vital to ensure smooth engine operation. 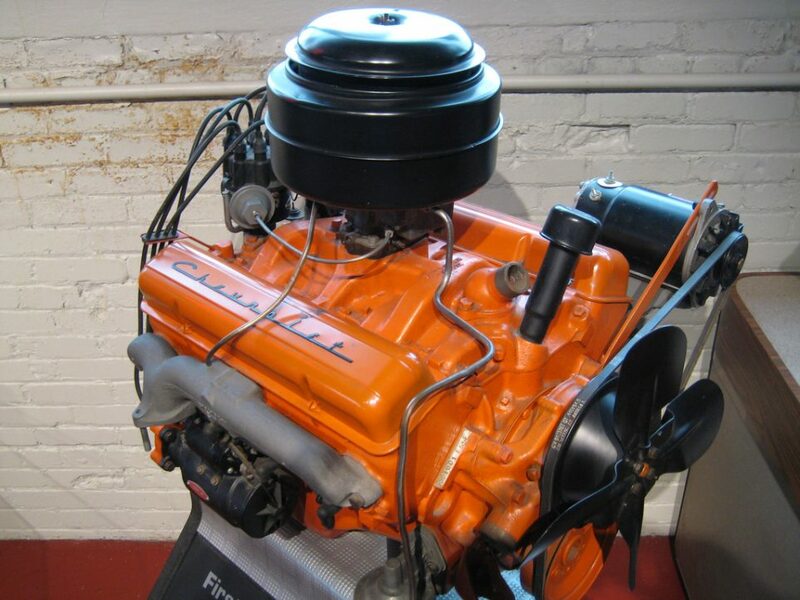 In a typical 4-cylinder engine, the preferred order is 1-3-4-2. Most modern cars use their electric control unit(ECU) to control the firing order while old gasoline engines the distributor determines the placement of spark plugs. Most of the engines rotate in a clockwise fashion. However, you may find some engines – due to mechanical configurations – rotating in an anti-clockwise way. If you have replaced the camshafts to ones with another firing order, your ignition cables are switched also. How do you count the cylinder numbers cylinders? The numbers begin from the front and continue to the rear. 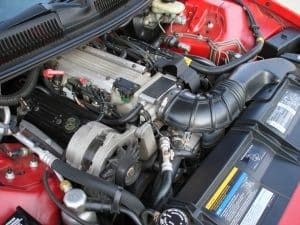 It is at the front of the engine that you notice pulleys, alternator, and water pump. In some V-engines, the numbering can be done in rows; so you have the first row having 1-2-3-4 then move to the next row from the front with 5-6-7-8. In others, they would number them like in an in-line four-cylinder engine where you have 1-3-5-7 and 2-4-6-8. The numbering of cylinders can be complicated by the fact that manufacturers may use a different numbering for individual engines. It is prudent that you check your manufacturer’s manual for the correct order. The reason manufacturers have a firing order is to decrease torsional vibrations while enabling the safe emission of exhaust gases. When there is a sequence there is little interference between cylinders and this promotes recovery of the manifold. An arrangement is difficult with fewer cylinders. It is important to separate cylinders that are exhausting so that the back pressure does not promote the escape of exhaust gases. The simplest engine is the single cylinder arrangement. In this set up you have experience a power stroke every 720 degrees. The piston has a head and it is joined to the crankshaft through a connecting rod. The rod rotates in an oscillating motion. In the case of horizontally opposed engines, power impulses occur for every crankshaft rotation of 360 degrees. This means during the rotations the crank-throws are out of phase by 180 degrees. In the horizontally opposed engines, the connecting rods and pistons are located opposite each other. These type of engines often appear in small engines. An engine with a different firing order is the radial engine. In this case, the firing order is centred on a circle. If you have 7 cylinders you might find a firing order of 1-3-5-7-2-4-6. When we have even firing order we have the angle between each of the firing being equal. If you are running a four-stroke engine you get the firing interval by dividing the number of cylinders by 720 degrees. In uneven firing orders, not all angles are spaced the same. You can have one with a 90-degree spacing while another has 150-degree firing interval. Depending on the design of the crankshaft you will notice that those cars with even firing orders will sound smooth while the uneven ones will have a throaty sound. When there are problems with the ignition system the car will experience backfires. A backfire happens in either the intake or exhaust valves rather than inside the combustion chamber. Unburnt fuel is the leading cause for misfires and it can produce a loud noise or flames can be seen coming outside the exhaust. In cars with shortened exhaust pipes, the flames are visible. Another term closely used is “backfire” which is the process where the unburnt fuel is combusted while in the exhaust system. The reasons for the backfires vary and include the disproportionate amount of air coming into the combustion system with little fuel. This leads to the mixture not igniting and you have a misfire. This unburnt mixture goes through the exhaust system where it reignites due to the hot components there. If you also have an abundance of fuel to the air ratio you will also experience misfires. The spark plugs use a timing system to ignite the air/fuel mixture. It this is too early the mixture will get into the intake valves before ignition. These results in an ignition that travels through the carburetor and it can cause serious fires. Bad timing of the ignition process will cause misfires. Due to an anti-lag being present you will notice loud explosions. If the wiring is not done right, you will have issues with ignition timing. It is proper to check the fuel pump and air filters for clogging. The faulty catalytic converter can precipitate misfires. Inside the internal combustion engine are spark plugs in each cylinder. This produces a spark that ignites the air/fuel mixture hence enabling the crankshaft to move. To increase engine efficiency and reduce vibration, the car engine manufacturers have a spark firing order. The firing order is regulated by the ECU in modern engines. The firing order begins with the first cylinder on the front end of the car. This is the cylinder numbered 1. In most four-cylinder engines the numbering is 1-3-4-2 while in the Chevy 350 small block engine the firing order is 1-8-4-3-6-5-7-2. When the timing of the ignition is misplaced you will have misfires. In this case, you may have more air coming into the combustion chamber than the fuel. This leads to unburnt fuel that finds its way to the exhaust manifold where it ignites causing a loud bang or fires.